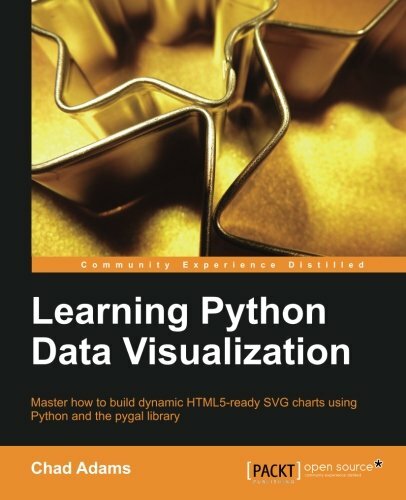 If you are a Python novice or an experienced developer and want to explore data visualization libraries, then this is the book for you. No prior charting or graphics experience is needed. The best applications use data and present it in a meaningful, easy-to-understand way. Packed with sample code and tutorials, this book will walk you through installing common charts, graphics, and utility libraries for the Python programming language. Firstly you will discover how to install and reference libraries in Visual Studio or Eclipse. We will then go on to build simple graphics and charts that allow you to generate HTML5-ready SVG charts and graphs, along with testing and validating your data sources. We will also cover parsing data from the Web and offline sources, and building a Python charting application using dynamic data. Lastly, we will review other popular tools and frameworks used to create charts and import/export chart data. By the end of this book, you will be able to represent complex sets of data using Python.